Everyone loves a good product launch! Finding a new product from your favorite brand is like Christmas, and you find yourself clicking “Add to Cart” as quickly as possible. While new items are always exciting, you should know how these newbies compare to current products. Sebamed Hydrating Body Milk is the newest member of our family. Though it’s quite similar to our Moisturizing Body Lotion, there are a couple of differences between these two Sebamed moisturizers that are important to consider when purchasing. Here is a quick introduction to our Hydrating Body Milk and a look at how it stacks up against another Sebamed favorite. Like all of our products, our Hydrating Body Milk is dermatologist recommended. It revitalizes dry skin, increasing the hydration of the skin by 26% in clinical studies. Plus, a botanical lipid complex with jojoba oil and shea butter leaves the skin looking and feeling soft, smooth, and radiant. If you need a heavy-duty moisturizer in your life, this one’s for you! The main difference between our Hydrating Body Milk and our Moisturizing Body Lotion is their oil content. The body milk has an oil content of 24%, while the body lotion contains 6% oil. Each moisturizer also contains different care complexes. The body lotion’s chamomile extract and allantoin soothe and hydrate the skin, while the body milk’s emollient formula with jojoba oil and shea butter provides protection and smoothness. Because of the moisturizers’ oil content, the skin types best suited for each product are different. If you have oily skin, you know that adding more oil into the mix only leads to more breakouts. We recommend our body lotion to those with oily to normal skin and our body milk for those with dry skin. 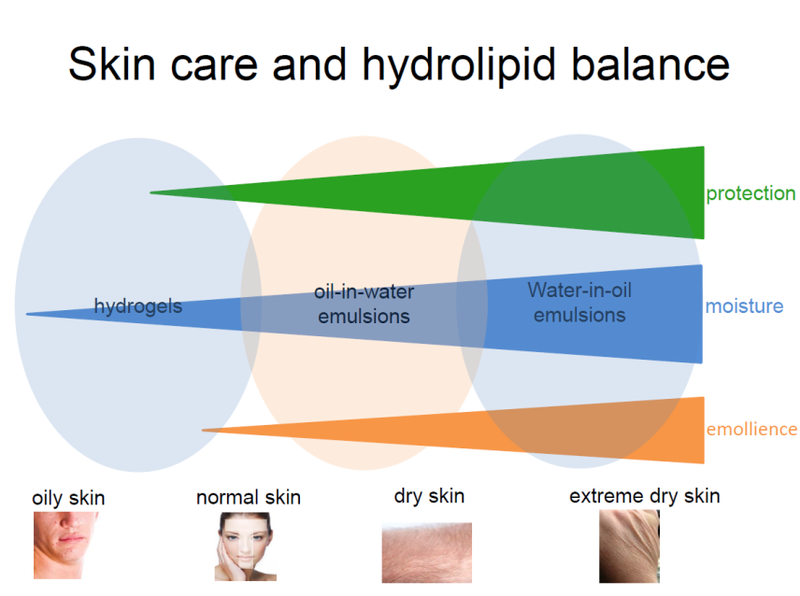 We’ve created this handy chart to help illustrate the relationship between skin type and product features. As always, the choice comes down to personal preference. If you tend to reach for rich moisturizers or have extremely dry skin, the Hydrating Body Milk is your best bet. Yet, if you prefer lotions that absorb quickly, we’d recommend our Moisturizing Body Lotion. Still unsure? Try both! You’ll never find your perfect match until you examine all your options. Whether you prefer a moisturizer that absorbs effortlessly or one that smoothes as it protects, Sebamed’s got you covered! All of our lotions and creams stabilize your skin barrier and put you on the path to healthy skin. Check out our complete collection of Sebamed moisturizers here. Hi Frederica! Oh goodness – we definitely don’t want our customers confused. Thank YOU so much for your feedback. We’ll take it into consideration as we make improvements to the website. Best wishes. Hi Oyindamola! Though she is a toddler, we would still recommend our baby care line – at least until she gets a few years older. We have many clients that have fair, delicate skin (babies and adults) – so Sebamed is ideal for your little one! We’ll link you to the products page so you can browse the entire collection: Baby Care. Please let us know if we can help answer any other questions! Best wishes. Great blog post about moisturizing body lotion. Your body lotion is perfect for all skin types. As well as very useful information for that who has confused about buying best body lotion. Thanks for sharing! Hi there! Thank you so much! You’re absolutely correct. Our lotion is fantastic for those with dry, sensitive, and atypical skin – but we do work on keeping all types of skin hydrated. Thanks for reading – we hope to see your feedback again! Best wishes.